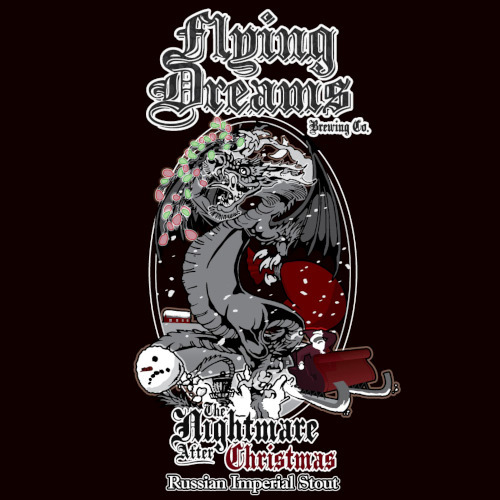 This Russian Imperial Stout, made to be ready after the winter holiday season, is the nightmare of your nightmares… which means it’s your friend – a beautiful, dark, fiendish friend. This one is as black as your worst nightmares, but tantalize the palate with beautiful notes of roasted coffee, dark cocoa, and just a hint of smoke. There could be no better friend and companion, to nurse you spirits back to health, in the dark and bleak winter days that follow the coming of the New Year. Cheers!